As a landscape Gardener in Dulwich we provide all types of services as described below. We are friendly and polite, we provide good quality work and we mostly work from good clients recommendations. If you’re looking for a good Dulwich Landscape Gardener give us a call to chat about your requirements. We use all different types of stone from Marshall’s, Brett and London stone in order to give the variety to fit your specific requirements. All of our patios are installed under the regulations of excavating the area at 150ml deep, membrane, sub base of type 1, sand and cement and the stone of your choice. We also offer the service of Jet washing, cleaning and stone protection, re – grouting and re-surfacing your Patio. We have been installing Patios for 25 years and have always had positive feedback from Customers in transforming their garden. The work carried out is always carried out by Vas Landscapes not contractors which offers you that personal touch. 4 inch to 9 inch walls and Pillars from 9 inch to 18 inch and carry out Block work and Rendered walls. We also provide copping stones. We can build new walls for your garden or refurbish existing walls. We provide all types of decking and jet washing and re staining. We install shed bases which is the foundation for the shed. We can help choose a shed or if the shed is already provided by a customer we are happy to install it for you. We also treat and condition sheds and build sheds from scratch with blocks or bricks. We install all types of Pagodas. Pagodas are used as a decorative addition to your garden which could be used for a seating area or for climbing plants and flowers. We provide a service of extensive maintenance and garden clearance to ensure your garden is in excellent condition. The maintenance includes, grass cutting, cutting shrubbery and hedges, re trimming hedges, Jet Washing and re-grouting. We provide all types of water features including Wildlife and Koi Ponds, waterfalls and water fountains and statues. We also provide a service of cleaning ponds, install pumps, filter boxes and UV lighting. 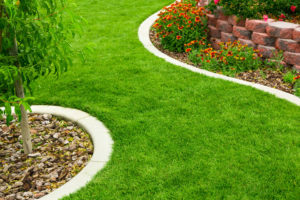 We provide all types of lawn, Rolawn grass and artificial grass. We obtain the grass from reliable sources. We rotivate and level topsoil. We install new block pave driveways using Marshall’s or Bretts blocks. Herringbone, Basket Weave, Stretcher Bond, Aggregate Driveways, Permeable Paving, Shingle driveways, slab driveway, Drive Grid and original Cobble. All driveways meet with the regulations of digging from 250-300 mil deep. We also install soakaways which are fitted for rain water to be contained within the road or street. Please see our Gallery page for examples of Driveways in Dulwich that we have installed. We provide all types of fencing using wooden, concrete and gravel boards. Close board fencing, feather edge, picket fencing, overlap panels and Trellis work. We install garden gates and also repair and paint fences.